The location had special significance. 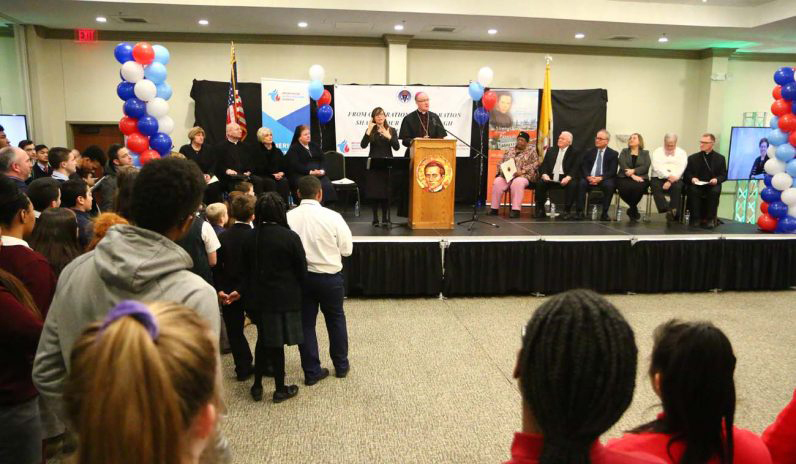 The center is located in what was one of the buildings of St. Peter the Apostle School, and St. John Neumann, as Bishop of Philadelphia, is credited more than any other with firmly establishing Catholic schools in parishes throughout his diocese, and he had a special fondness for St. Peter Parish. 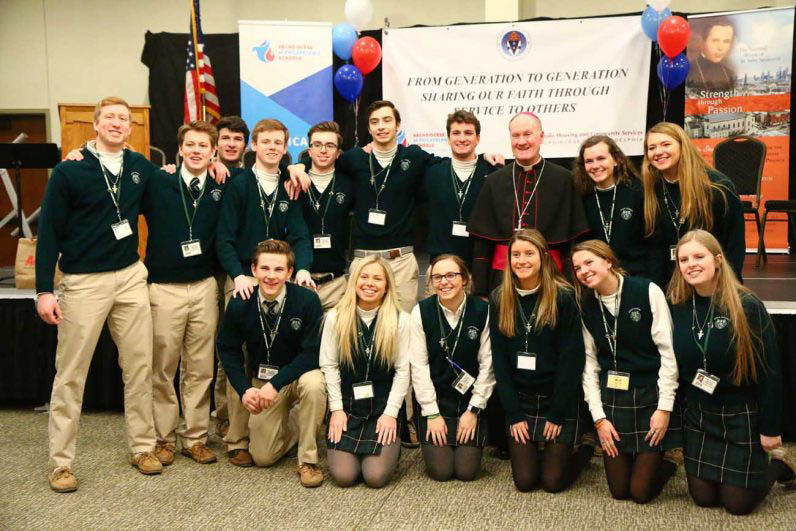 His idea was not just learning the faith but sharing the faith; not just by word but by action, and that’s what Catholic Schools Week (Jan. 27-Feb. 2) is all about. But it wasn’t just the young people at the event. 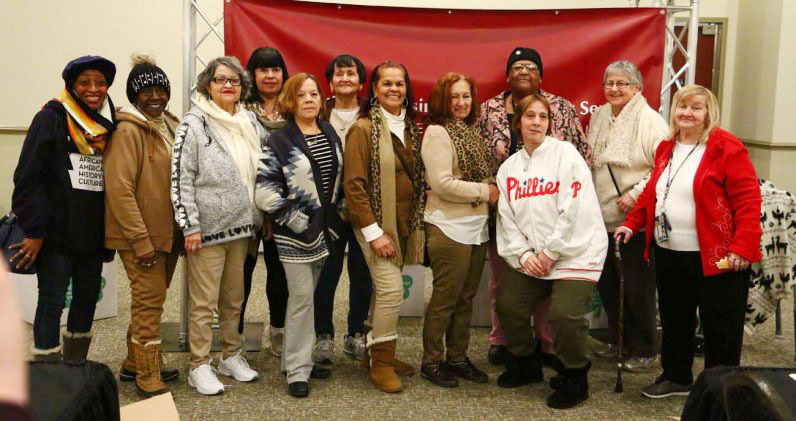 For example, Bonnie Dos Santos, a volunteer for St. Monica Eldercare in South Philadelphia, was a representative of the elderly beneficiaries of the outreach. “We serve about 90 home-bound elderly,” she said. 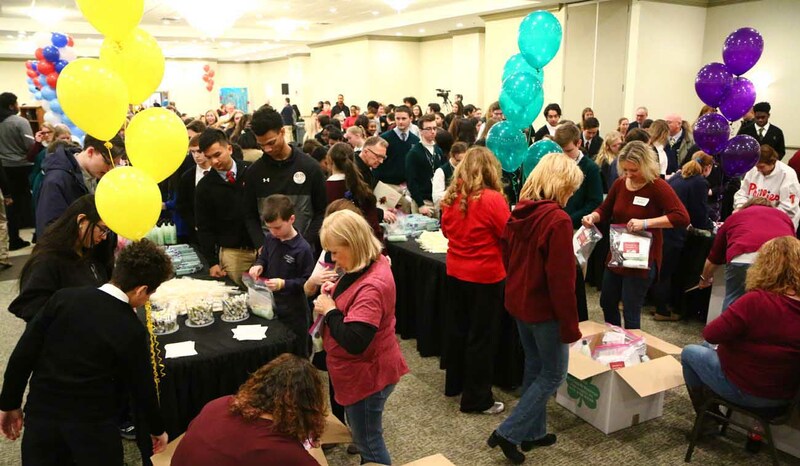 “It’s wonderful to see something like this.” Hers is just one of the growing numbers of parish-based and community-based programs for seniors throughout the archdiocese. 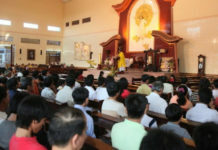 The whole event was part of Catholic identity, bringing together Catholic Social Services and Catholic education, according to John Wagner, deputy secretary for Catholic Human Services and CEO of CHCS. 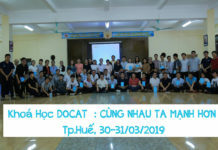 “This is a lesson the students can have for the rest of their lives,” he said, “to be part of the solution. It shows what can be done. We are focusing our energy on supporting seniors in the neighborhoods where they live.” But while charity begins at home, it doesn’t end there. 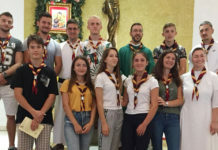 At this event, another group was making rosaries for the Pontifical Mission Society, which spreads the Good News and performs both charitable and spiritual works in 120 countries around the world.